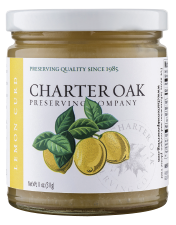 Essentially British, Lemon Curd is a traditional custard spread. Made with fresh dairy butter, farm eggs, sugar and luscious ripe lemons, it has just the right amount of zest to balance the sweetness. Lemon Curd is supberb on scones, English muffins, in tarts, with fruit or drizzled over cakes. Let your imagination create!